Digital Signal Processing. We might expect Voxativ, a Berlin-based loudspeaker manufacturer steeped in the heritage of single/compression drivers, to invite DSP to talk to the hand. 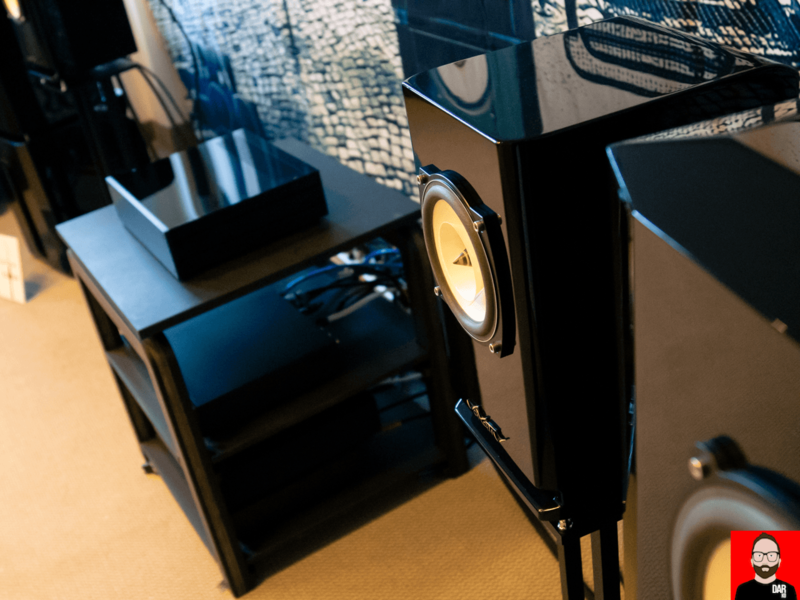 And yet at this year’s Norddeutsche Hifi-Tage Voxativ could be seen using DSP – inside a black box and before the amplification stage – to squeeze additional low-frequency extension from the Hagen; standmounts that previously called for subwoofer assistance. The Hamburg-based controversies didn’t end there: the new box’s DSP core was being fed via Bluetooth, its TOSLINK digital and analogue/phono inputs ignored. And what’s that we see behind the hi-fi rack? A switch-mode power supply? Ahem. According to company CEO Holger Adler, the only reason we’re not listening to Class D amplification as I Bluetooth stream DJ Hell and Nicolas Jaar from my aptX-capable LG V30 to Voxativ’s new black box is that Class D didn’t sound very good during the early stages of product development. Adler tried it and he didn’t like it. The latest prototype contains a 20wpc Class A/B amplifier. That each Hagen high-gloss cabinet houses only one AF-1n widebander – no crossover required – and is juiced directly by DSP-corrected amplification, albeit via speaker cable, suggests one half of a traditional 2-way active loudspeaker (where the second half is surplus to requirements). The Hagen BT/Digital system – loudspeakers and a single box of electronics – will sell for US$7999 when it goes on sale later this year. Optional speaker stands will sell for US$1198.